Aberration. I'm no linguist, cunning or otherwise. The word's similarity to the German aber for 'but' is simply suggestive. A ration of but which breaks with norms or conventions. But still it exists. Consider the Japanese TakeT H2+ from Takei-San. This headphone presents any amp that would drive it with a 5~7kΩ impedance. This shows how it just shouldn't. Exist. Yet it does. An aberration. Additionally its (in)efficiency means that it needs about 4 watts to get up. To make that work—somehow—its designer provides outboard matching transformers to better meet his extreme impedance and let regular speaker amps do the heavy lifting. It does make one wonder though. Who as yet has really heard the H2+ at its very best? With such steep input impedance, power transfer of amps designed for 8Ω speakers or 50-600Ω headphones becomes painfully inefficient. Do we imagine faint echoes of AKG's K1000 of yore? Enter the ever resourceful Sasa Cokic of Trafomatic Audio. He first encountered the TakeTs during a Norwegian hifi show hosted by his domestic importer Moiz Audio. Impressed with their promise, he's since built a matching valve amp. It runs two single-ended UL-strapped EL34 driven by two ECC88. 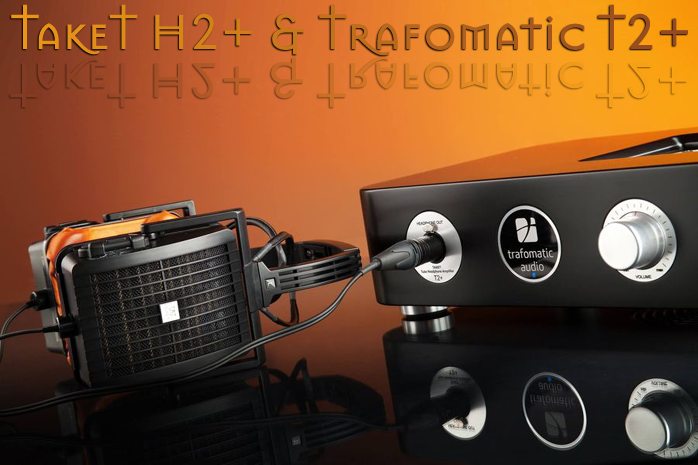 "The extreme H2+ Ω presents an ideal situation for an unusual output transformer. For once we don't step down the impedance of the power tubes at all. 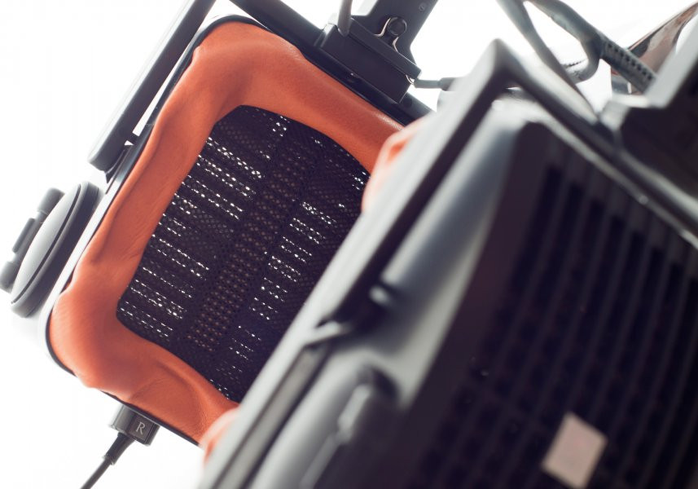 The particular OPT required to do the trick simply turned out even more complicated than the already very complex interstage transformer for your Kaivalya monos. So you see, I'm never short on funny." 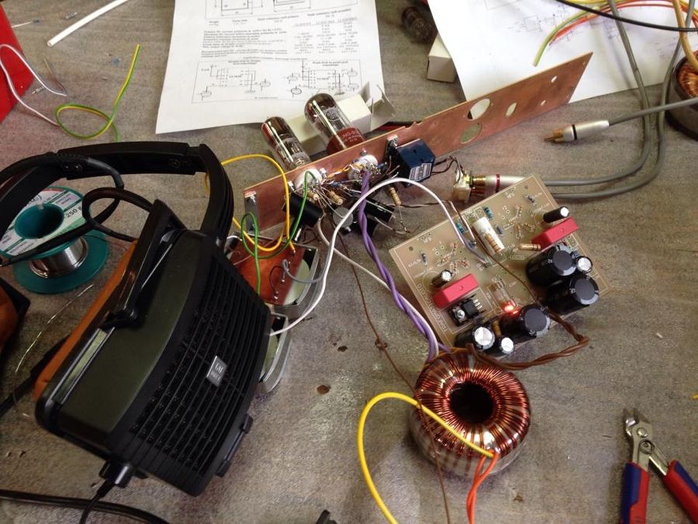 Amplifier prototype testing on one channel. Funny is Sasa code for taking on challenging projects just because. He had another funny in a 10Y custom preamp for a friend of mine. For that project he still chased down circuit noise, being on the 3rd enclosure iteration already and going into the 4th. My Kaivalya IT took seven prototypes. We all get our kicks in peculiar ways. Sasa is one hilarious guy. Piezo super tweeters close [left] and open [right]. Back to the 360-gram light headphone. Its TAT core driver is a polymer piezo-electric. It's described as being related to Oscar Heil's AMT. But that suggests pleats which Sasa who opened one up says aren't there. The main piezo drivers are augmented by two super tweeters which can fire forward and outside of each cup to increase the subjective size of the headstage. The designer's experience with piezo drivers dates back some 20 years to a speaker he designed for Sony. Its 80dB sensitivity meant that it never went into formal production. Having left Sony 5 years ago, he has since revisited his fascination with piezo tech. The limited production H2+ headphone in its laboratory-grade hard plastic chic is the final result.